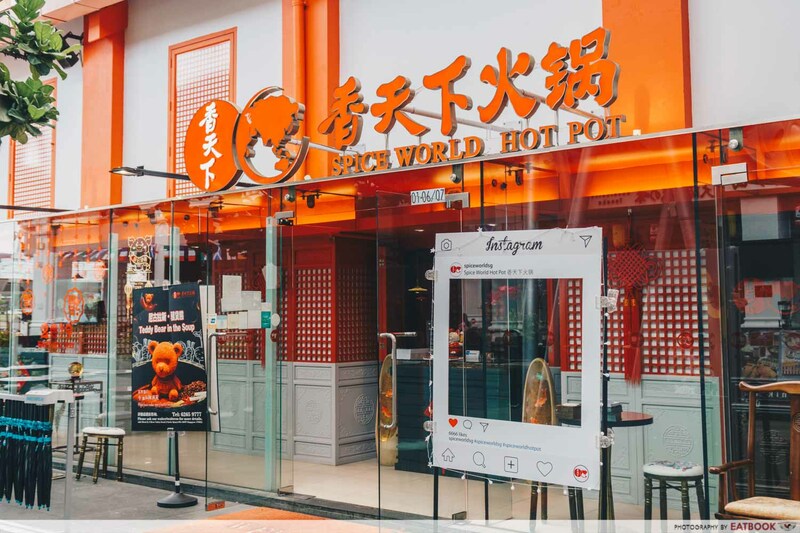 Less than one year after wowing us with their Teddy Bear Mala Hotpot and Barbie meat dress platter, Spice World Hotpot is back again with another mind blowing item on the menu – Bubble Tea Hot Pot. 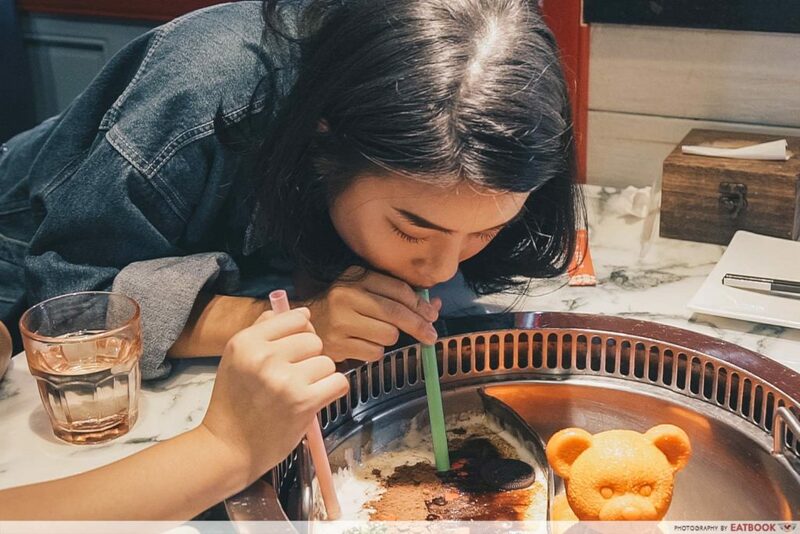 It’s as crazy as it sounds; this bubble tea hot pot features a one-centimetre layer of milk foam atop an Assam milk tea broth. 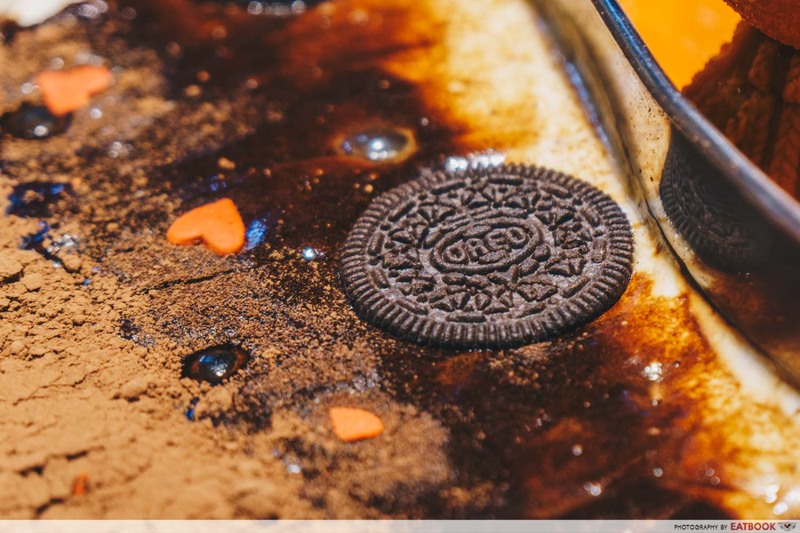 Cocoa and coffee powder, oreo cookies, and mango popping pearls are also scattered over the hot pot as well. 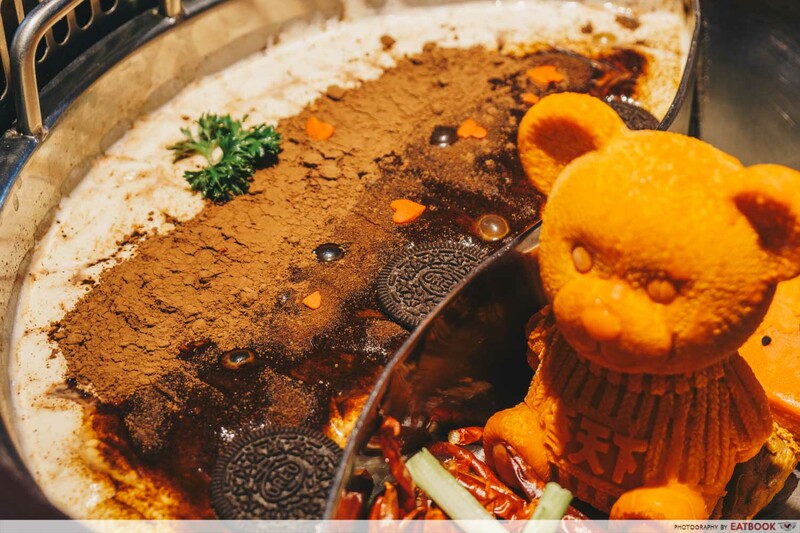 The Bubble Tea x Spicy Hot Pot ($32.90++) is served in their two-flavour broth pot, with the other half featuring the iconic and IG-worthy teddy bear mala soup base. 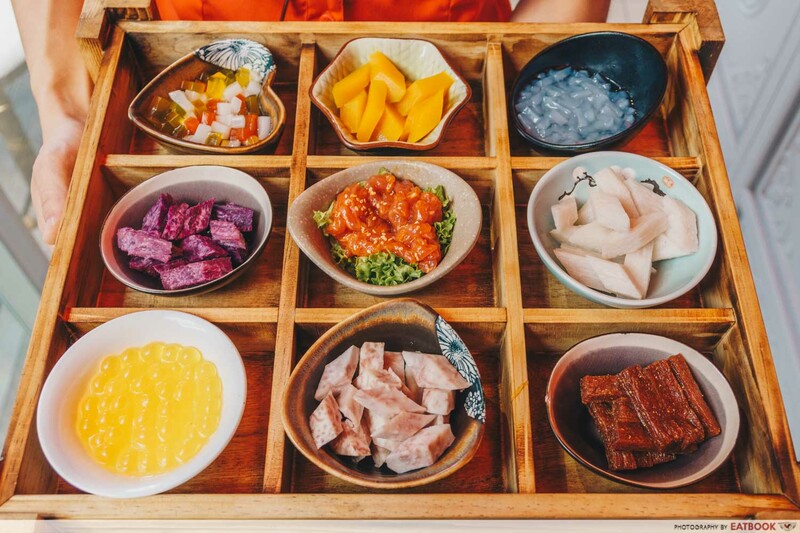 In true bubble tea fashion, the hot pot also comes with a plethora of sweet and savoury toppings such as ma la bak kwa, beef slices, purple sweet potatoes, premium Chinese yam, pumpkin, taro, nata de coco, and colourful jellies. 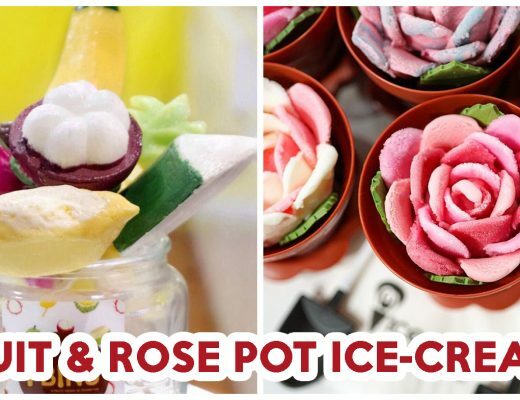 Before adding any of the ingredients in, you’re instructed to give the hot pot a good stir and have a sip of the warm bubble tea with the straw provided. This combination of flavours was utterly intriguing. Despite Assam tea being one of the stronger-tasting black teas, you don’t taste the Assam flavour. It sits under the milky broth, with the taste of coffee and creamer shining through instead. 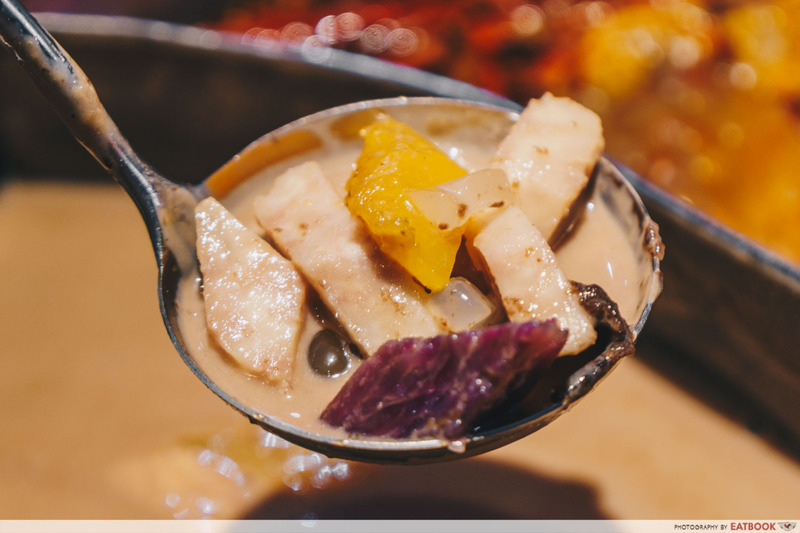 After dunking all nine toppings into the bubble tea broth, we found ourselves only picking out the chunks of taro, sweet potato, yam, and pumpkin. These morsels were cooked to a melt-in-your-mouth consistency, and added a tinge of natural sweetness that is tempered by the milkiness. Out of all the toppings, the savoury ones such as the beef slices and ma la bak kwa did not impress. 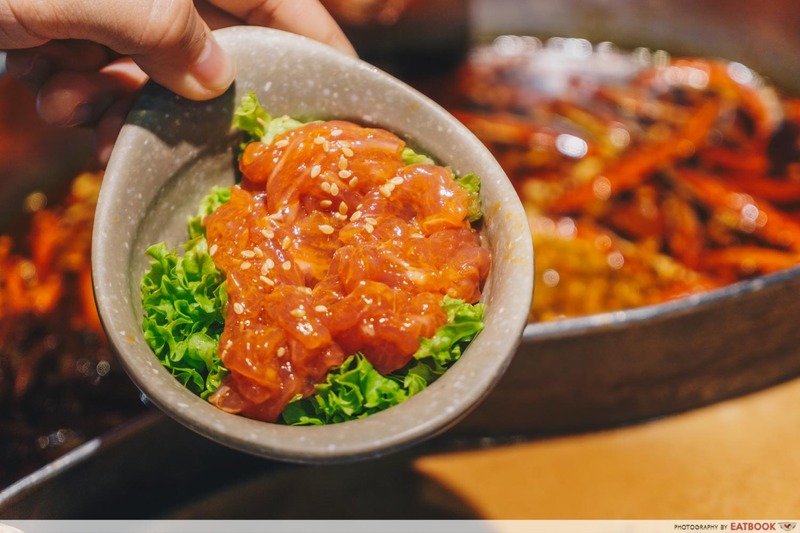 My colleagues and I felt that the marinated slices and ma la seasoning clashed with the cloying soup, especially after it boiled down to a thick reduction. 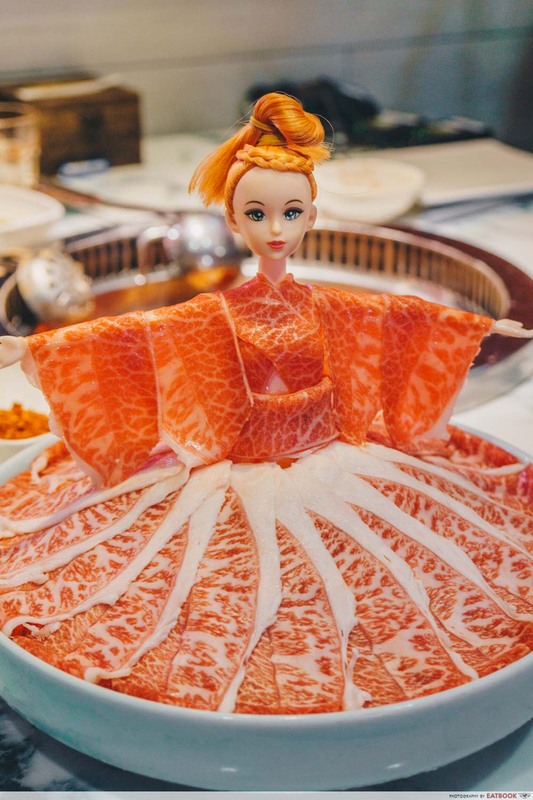 The best thing to eat with the bubble tea hot pot is the Premium Barbie Wagyu Beef ($38.90++). The fat marbling of the meat gives it a rich, beefy flavour, which pairs well with the creamy and sweet broth. 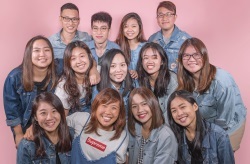 Fun fact: the name ‘bubble tea’ actually came from the bubbles formed when the drink is shaken – not the tapioca pearls inside. 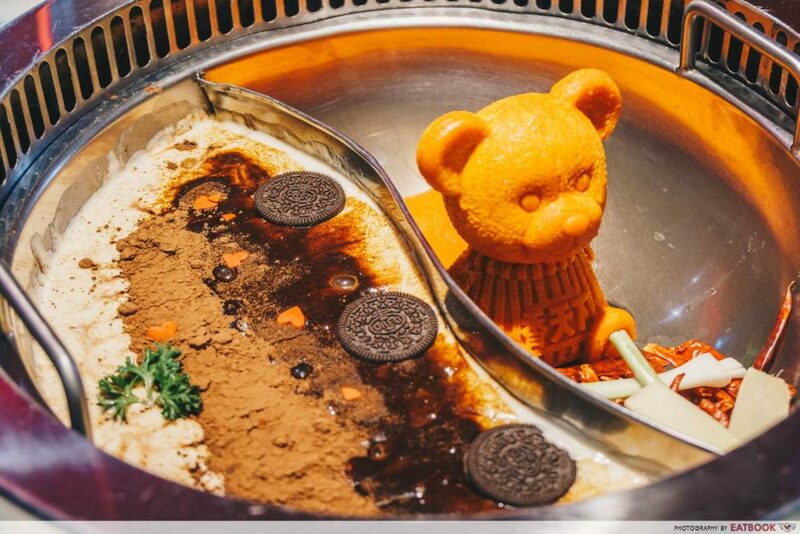 This bubble tea hot pot is thus the mother of all bubble teas. 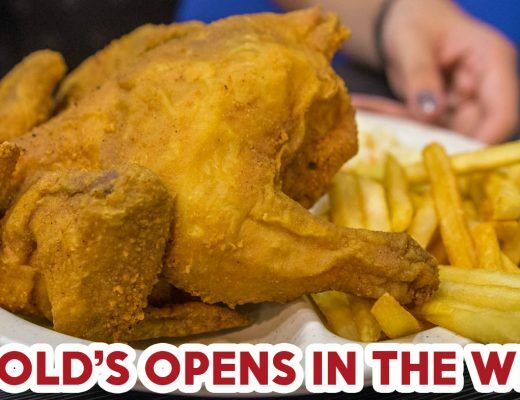 It is a bubbling pot with a hodgepodge of flavours, and is a novelty to eat – but you’ll need to muster up the courage to order it first. 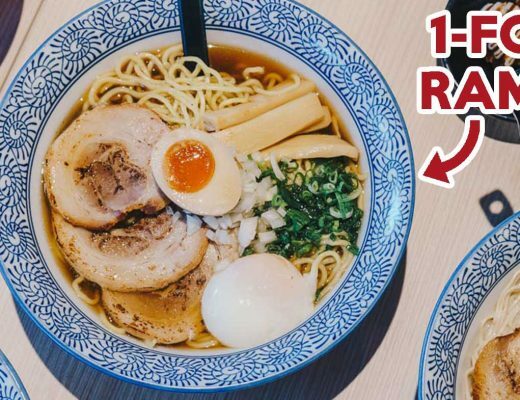 Do note that this unique hot pot will only be available late February 2019 – so don’t go rushing down there yet. Fans of matcha can also look forward to the other flavour – Matcha x Spicy Hot Pot ($32.90++) – which will be available then as well. Make a call to reserve a pot before heading down!